Good parenting needs more than intellect. We give our children all the knowledge that we have. But at the same time are we making them aware about feelings that we as adults share? A child’s emotions are developing along with his other physical developments. Infants have a very high level of emotions in them. They are highly expressive. Emotional Quotient/Intelligence is a common word used in parenting. 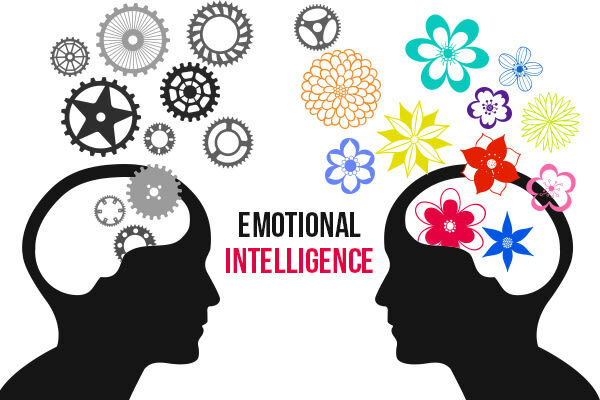 So how does emotional intelligence look like in our everyday life? As an individual how does it help me or make me a better parent? Let’s find out. When your child solves a detailed mathematical problem, there are two parts to it. The part where he uses his intelligence to understand the concept and obtains the solution is drawn from IQ. However, the part where he needs to display the necessary patience to practice and keep up the interest levels consistently involves EQ. As parents we are mostly concerned about the IQ of our children; how well they perform in academics, sports or any other competitive exams, and run towards winning each race. What we fail to see are the emotions that a child goes through during the race. Thus, Intelligence Quotient is the ability of a person to think while Emotional Quotient is the ability of a person to feel. Thoughts and feelings are the roots of our behavior and actions, which eventually build our character and personality. A combination of a good IQ and a good EQ determines the success of a child. “Family life is our first school for emotional learning,” writes Daniel Goleman, Psychologist and Author of Emotional Intelligence. As parents we are the most intimate person to our children and so have the responsibility to identify their innermost feelings. Observing and understanding the emotions of our children help children understand their own emotions. Each child is unique with his own strengths and improvement areas. The practice of emotional coaching has proved to be vital for the holistic development of a child. And the results of such a practice are quite pleasant. Parents who use an emotional coaching style (as against impulsive and unplanned one), see a marked difference in the behavior and attitude of their children. Even after emotion-coaching, kids can get sad, angry or afraid under certain circumstances. But now they will be better able to deal with such emotions, bounce back from the disturbance and carry on with normal activities. They become emotionally intelligent. Another surprising discovery from research has to do with fathers. Studies found that when fathers adopt an Emotion-Coaching style of parenting, it has an extremely positive impact on their children’s emotional development helping their kids develop into healthier, more successful adults. When fathers become aware of their kids’ feelings and help them solve problems, children do better both in studies and in relationships with others. In contrast, an emotionally distant father, who is harsh, critical or dismissive of his children’s emotions, can have a deeply negative impact. Such kids usually do poorly in school, fight more with friends and have poor health. This emphasis on fathers does not mean that a mother’s involvement doesn’t affect children’s emotional intelligence. The effects of mother’s interactions with her children are also significant. But studies reveal that a father’s influence is much more extreme, whether that effect is good or bad. You become aware of your child’s emotions. Realize that their emotion is an opportunity for intimacy and teaching. You listen with empathy and validate the child’s feelings. Better physical health and score higher academically. Such kids get along better with friends, have fewer behaviour problems, and are less prone to acts of violence. Overall, children who are Emotion-Coached experience fewer negative feelings and more positive feelings. Let’s explore the best ways to emotion-coach our children. Listen, nod your head, and use short comments to get them to continue talking. Make eye contact and pay attention. As your child grows, help them to understand different emotions and why people react to certain circumstances. Enact and show expressions during story telling. Avoid criticisms and negative comments. Model EI yourself. Have a better understanding of yourself, your interpersonal and intra-personal emotions. Do not hesitate to take any kind of professional help for further understanding. Start coaching your child at an early age. Emotions are inbuilt for children right from the womb. The earlier you make your child aware of his feelings the better understanding the child will have, and thus cooperative learning is built. Get kids involved in household chores at an early age. This helps in shaping a personality and helps them understand the importance of each work and thus learn the strategies of cooperative living. Be willing to say “NO” to your child. They understand that negative emotions like sadness and disappointments are a natural part of life experiences. This helps them build sportsmanship qualities too. Limit the child’s access to mass media mania. Mass media over-stimulates the brain and thus we see a lot of children facing challenges like restlessness, poor concentration, less attention span, etc. Talk about feelings as a family. Each one of us has feelings embedded deep inside us. Expressing those helps in understanding others and the challenges they face. Parents who talk out their feelings with their children will see them develop a similar pattern of thought. They will learn to talk and think in a more sophisticated way. If parents express emotions and feelings, their children will learn that it’s all right to do the same. Emotion-Coaching, the best parenting tool for smooth and successful parenting! Reference: Emotional Intelligence, why it can matter more than IQ by Daniel Goleman.